The medicinal benefits of aloe vera plant were first discovered by the ancient Egyptians. Although there are innumerable varieties of this miraculous plant, only some of the varieties are known for its healing properties. The gel derived from the plant is used for a wide variety of purposes. It is used for both external and internal consumption. The gel is commonly used in a large number of cosmetic and skin care products due to its enhanced skin care properties. For centuries, this plant gel has been used to treat various skin disorders and to enhance the beauty of the skin. Aloe vera gel has a wide assortment of health benefits. It is used to treat various types of skin disorders. Some of the most significant uses and benefits of this plant gel includes the following. Treat sunburn: It helps to heal sunburns quickly and easily. The gel acts as a protective layer on the skin and keeps it hydrated. This reduces the pain and swelling and heals sunburns quickly. It also keeps the area moisturized. Rejuvenate skin cells: The gel can also be used to heal minor skin irritations, clear stretch marks caused during pregnancy, weight gain or loss. Regular application of the gel can reduce stretch marks to a large extent. 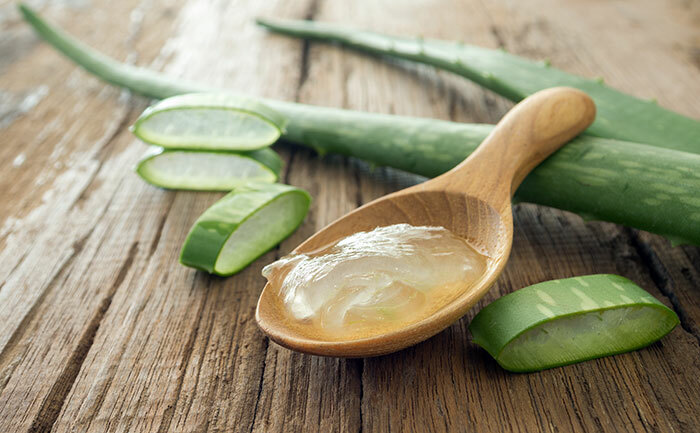 Treat skin disorders: Aloe vera gel is also used to treat minor cuts and burns. It was considered as a miracle plant by the ancient Greeks to treat skin ailments. It also serves as an effective treatment against skin disorders such as psoriasis and eczema. Natural moisturizer: The gel is rich in vitamin E and C which helps to keep the skin hydrated and firm. Mineral based make up tends to dry the skin but the skin can be protected with a layer of this unique gel as it acts as an excellent moisturizer. Ingredient in creams: Today this plant gel is one of the main ingredients in most of the lotions and creams as it possesses rejuvenating properties. It is used in a wide number of shampoos and creams to moisturize the skin and hair. Treat allergies: It is also used as an effective treatment against various skin allergies, insect bites, blisters and frostbites. The gel is popularly used for its anti-fungal, anti-inflammatory, cooling and healing properties. Aloe vera gel is known to be a beauty enhancer. It is rich in amino acids, vitamin C, B, A and B12. The gel derived from the plant can be used directly in various beauty products. It can be applied directly on to the face in the form of face wash, clay packs and so forth. The gel can be mixed with almond oil to form a paste which can be applied to the skin to obtain a glowing face. Apart from being known as a beauty enhancer, it is also used to reduce and treat minor skin ailments. It is an excellent remedy for acnes. The anti-bacterial properties help to reduce and treat acne. The gel can be used to brighten the skin and reduce dryness. Wonderful goods from you, man. I’ve understand your stuff previous to and you’re just extremely excellent. I really like what you’ve acquired here, really like what you are saying and the way in which you say it. You make it enjoyable and you still care for to keep it wise. I cant wait to read far more from you. This is really a tremendous web site. I am sure this post has touched all the internet people, its really really fastidious article on accumulating new webpage. I love reading these articles because they’re short but inoatmfrive. yours nowadays. I seriously appreciate individuals just like you! I really do agree with all the ideas you’ve offered to your post. They may be very convincing and may definitely work. Still, the posts are too quick for beginners. Might just you please lengthen them a little bit from next time?